Our HogWorkz King Tour Pack is the big daddy of tour packs! It's the quickest way of adding additional storage to your '97- Present Harley Touring! 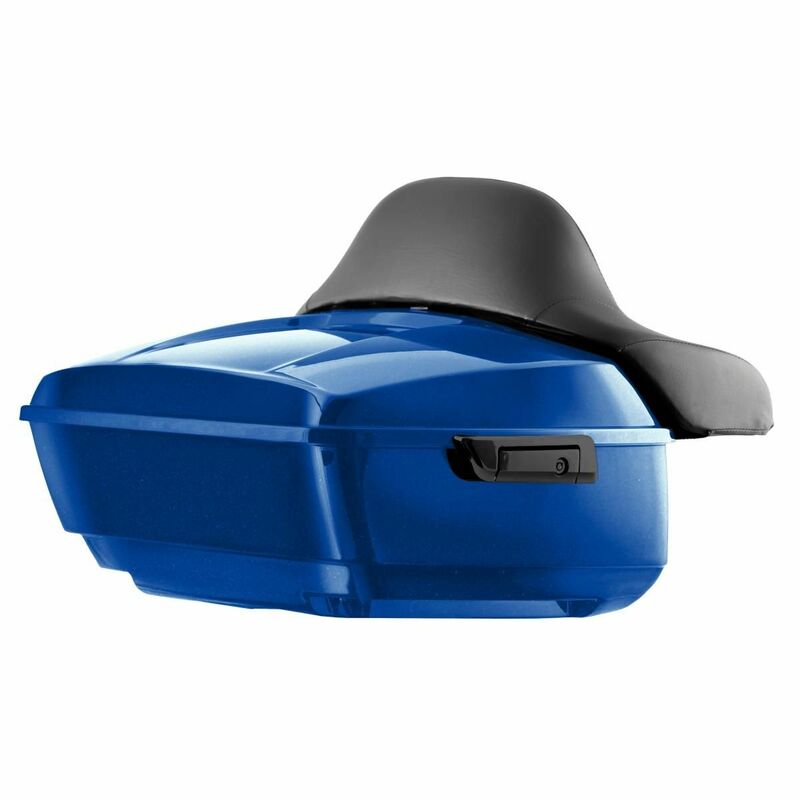 Painted Superior Blue to match OEM specifications and complete with full passenger backrest as well as blacked out premium lid/latch & lock hardware! Blacked out premium lid, latch & lock hardware with keys!